Richard Branson’s upcoming foray into the cruise world has excited and divided industry insiders and holidaymakers alike, with the eccentric billionaire planning on bringing brand new elements and experiences to the cruising. 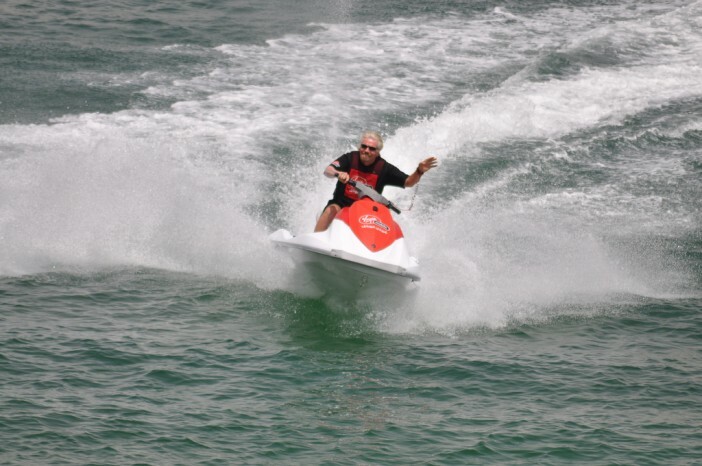 So radical are Branson’s plans that he has decided to rebrand the line and drop the word ‘cruises’ altogether. The upcoming cruise line will hereby be called Virgin Voyages. The upcoming cruise line which we have been reporting on since 2014, has signed deals for three ships to be built by Fincantieri and to be delivered between 2020 and 2022. All three ships are expected to be identical in design, holding 2,700 passengers apiece. The three ships are yet to receive their official names, but the first of the vessels is confirmed to homeport in Miami. In a press conference attended by Virgin employees, Miami politicians and members of the media, Virgin Voyages CEO, Tom McAlpin, revealed that the steel-cutting on the first ship will commence early next year and that the line promised to offer guests a “departure from the ordinary getaway”. Quite what this ‘departure’ will incorporate is not clear. However, McAlpin did reveal that Virgin Voyages will be looking to create environmentally-friendly ships which will run on clean energies. Working with a Swedish clean-energy company, the voyage line (that will take some getting used to) is hoping to turn waste and hot water into electricity, effectively reducing the carbon footprint of their fleet. Perhaps the most intriguing aspect of the upcoming Virgin Voyages fleet is the complete lack of detail, with VV bosses remaining incredibly tight-lipped about what their sailors (Virgin’s term for guests) should expect to experience on a voyage. In 2015, Branson invited cruise fans to offer suggestions and ideas for the upcoming fleet, and has reportedly received 25,000 suggestions to date. Whilst this could undoubtedly be a strong move for Virgin Voyages, providing guests the services and amenities they long for, it could also lead to a varied and unfocussed offering. We cruise fans are an eclectic bunch, and the 25,000 suggestions are likely to reflect that. However, it will be interesting to see what Branson and co come up with. In the meantime, there’s plenty of brilliant cruise lines to holiday with before 2020. Whether you’re looking for a traditional cruise or a family-fun adventure, we’ll have the deal for you. For a full range of Cruise1st UK’s great deals, visit our homepage or call our friendly sales team on 0808 274 6777. Virgin Cruises has been rebranded by Richard Branson to the new name, 'Virgin Voyages' as the line looks set for a 2020 launch.